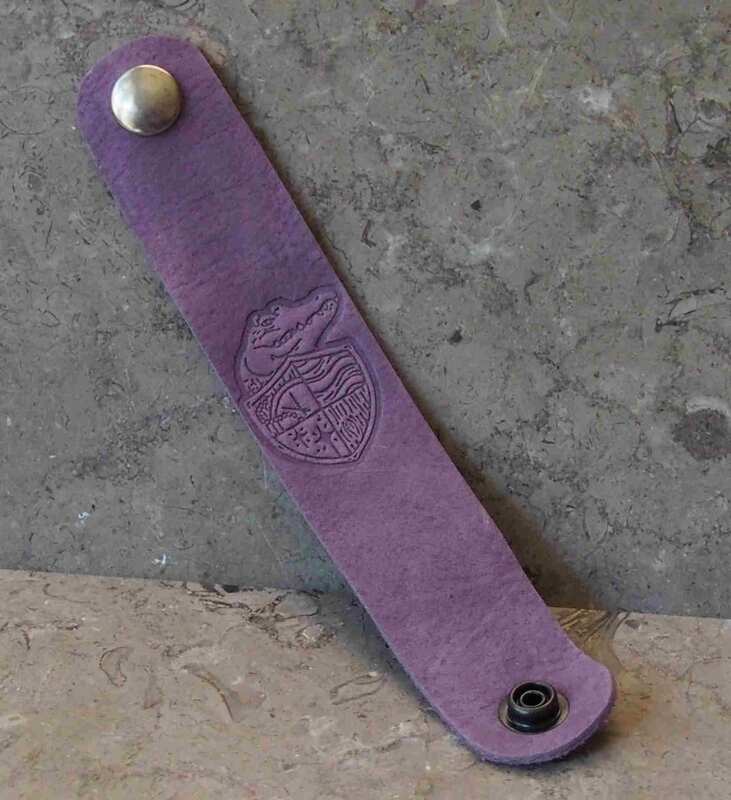 Lost Girls Pirate Academy leather wrist straps are directly embossed with an LGPA emblem. 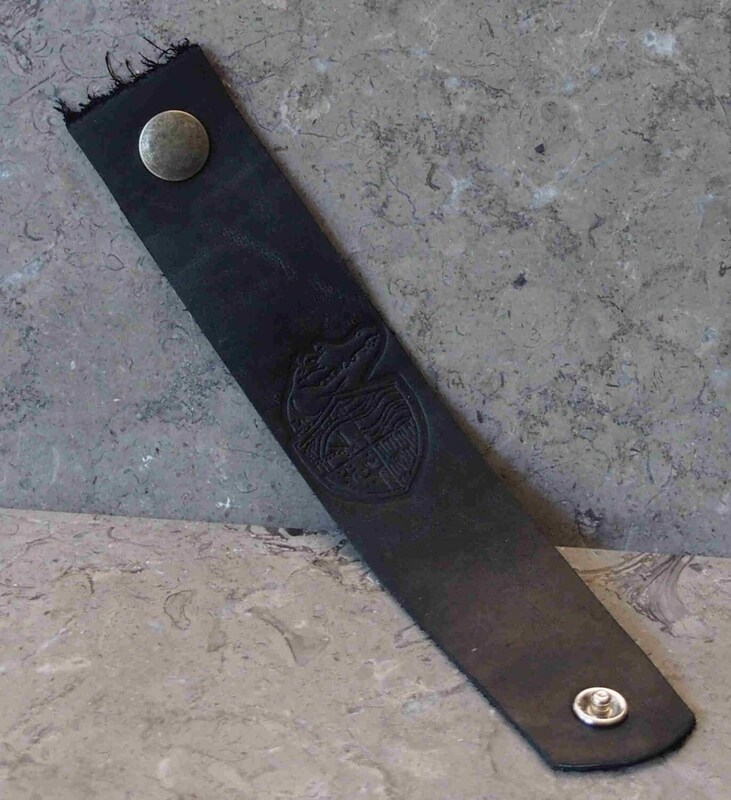 And the Lost Boys who wear this will be saved a thrashing for having joined our crew. I am very pleased to say that these straps are making their public debut at FaerieWorlds in Eugene, OR at SJ Tucker's booth. 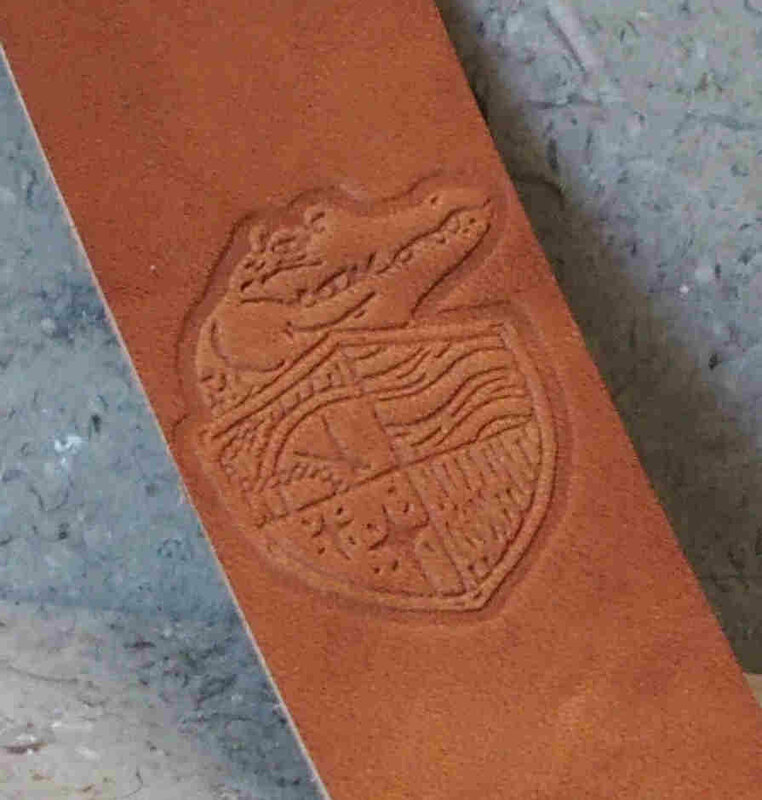 The artwork evolved from the guitar strap I made for SJ Tucker and was first put onto "Booty Bags", but after working on my Portal Wrist Straps recently, I felt like I should have been keel-hauled for not doing these earlier! So now you can wear a little bit of SJ Tucker on your wrist in the form of the LGPA wrist bands. Aye, matey, be bold and be proud! 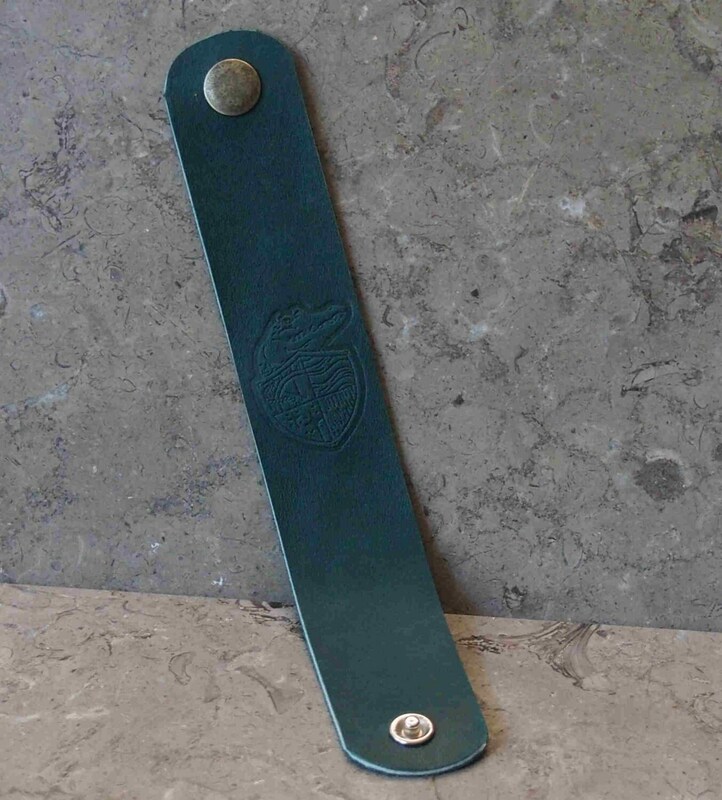 The emblem is 1 1/4" wide and 1 1/2" high, and the strap is trimmed to about 1 5/8" wide, and can be made to fit any wrist! 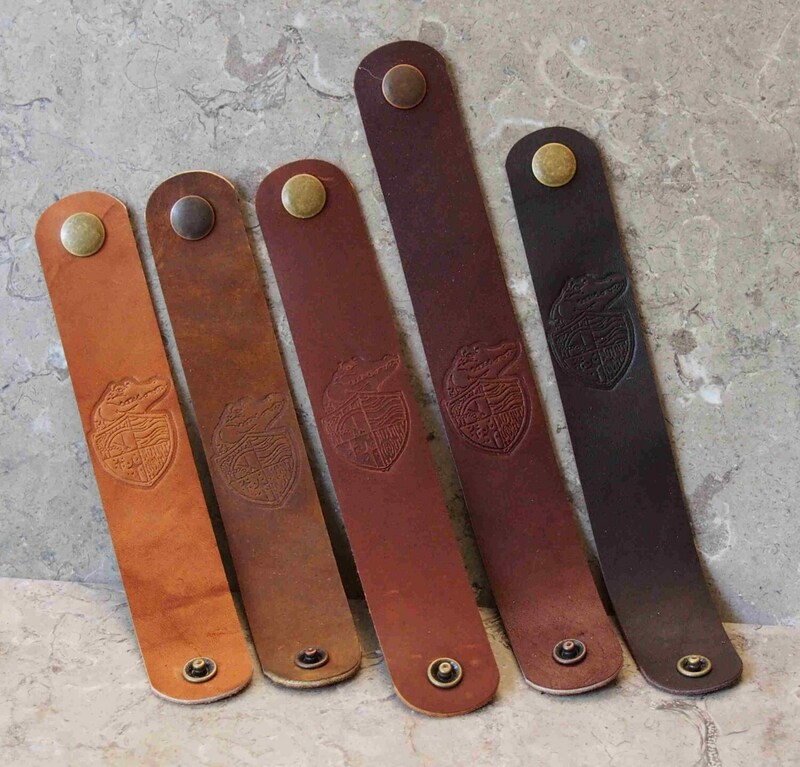 The leathers are very soft on the skin, and conforms nicely to the wrist and softens with wear. I can make these out of many leathers, and the photos show examples of the colors: black, dark brown, nut brown, brown, light brown, dark green, and purple. Other colors, such as the apple green & dark purple are other colors not pictured yet. Please ask & I can send a photo of an example on the color. Please convo me with any questions, and when you order, please indicate the leather color if not an option listed, and your wrist size. I space the snaps to allow about 1/2" extra room for a comfortable fit. If you want a tighter, or looser fit, please let me know. Please see bansai8 creations facebook page for more pictures of LGPA goods, including SJ and her guitar straps! Please note shipping is based on USPS first class mail, but if you need another option, please let me know.